Who knew so much heart and passion could be conveyed through such scientific thought processes? Andy Weir’s The Martian takes place almost entirely with one character alone on a deserted planet. When Mark Watney and his crew find themselves in the midst of a life-threatening dust storm on day six of their 31 day mission on Mars, they decide to evacuate. Unfortunately, Watney is struck by a satellite that was ripped loose from the storms winds, and the crew is forced to leave without him. To everyone’s dismay, especially Watney’s, he survived being impaled by a satellite, and now he’s in for the fight of his life. He has to survive living on Mars for at least four years before another mission is sent to the planet he now calls home. The most shocking part of Watney’s experience is his sheer inability to give up. Obstacle after obstacle is thrown in his path, and he takes each one in turn and devises a solution. His persistence to live is inspirational. Reading about the challenges Watney faced on Mars further convinced me that I chose the right career path for myself — not an astronaut. 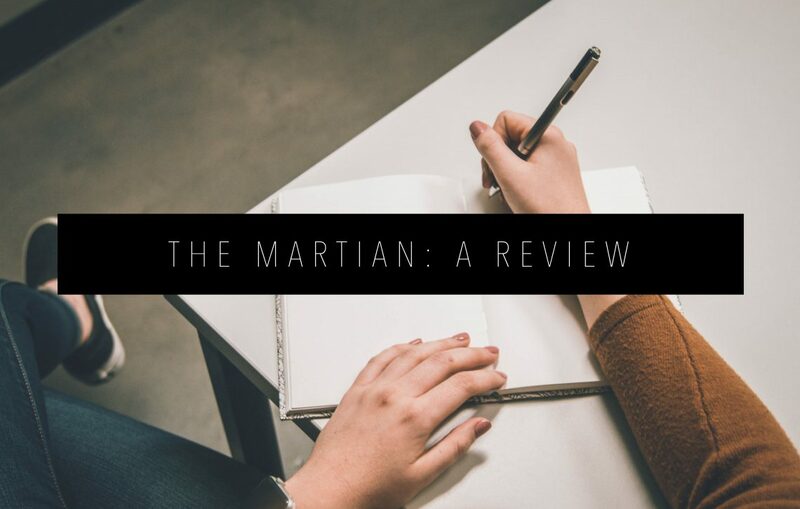 Written as log entries in a NASA journal (I read it as an audio journal, but it could have been a video journal as the movie depicts), Watney chronicles his actions and thought processes every step of the way in hopes that someone will one day see what his life was like on Mars. He uses critical thinking, problem solving skills, and a vast amount of scientific and mathematical knowledge to save his own life on multiple occasions. From growing potatoes in a frozen desert to devising a strategy to regain communication with NASA, Watney truly solves every problem thrown his way with grace and efficiency. Well, maybe not grace since he did have to cut off the arm of his own spacesuit at one point. Weir delicately describes a world where no one would like to be stranded alone, yet he creates a character that deftly faces the challenge. He coaxes the reader into caring so deeply about a character who is doomed from the start. Apart from some quippy comments, most of Watney’s monologues are pure science and math, yet the reader cares deeply about his success and yearns for his safety. I would actually venture to say that is one of the most compelling aspects of this novel — Weir’s ability to intertwine analytical, scientific fact with sarcasm and humor. Watney’s humorous attitude throughout the whole experience is what makes him such a compelling character. 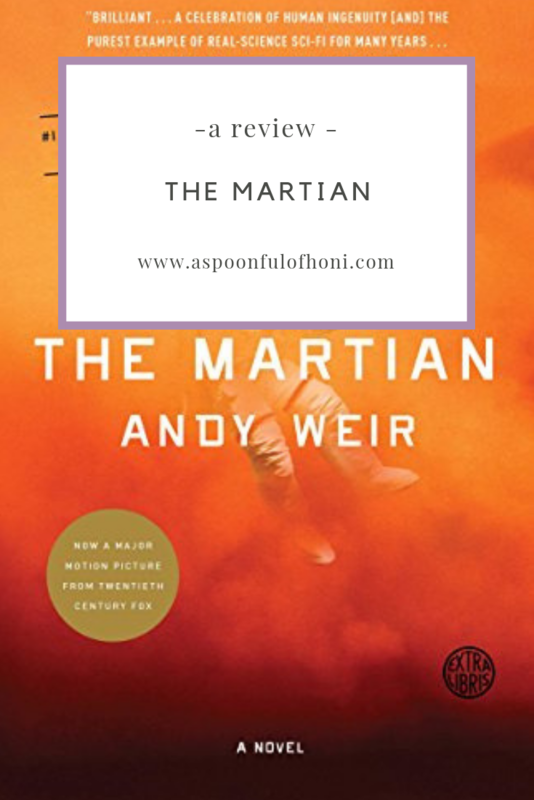 Through careful placement of humor and humanity, Weir reminds the reader that they are not only rooting for Watney’s survival, but humankind. This book is not only a testament to one individual’s unwillingness to give up in the face of death every single day (sol), but the ability of the human race to come together for a common cause. This book gave me hope. It reminded me that most people in this world are good. Most people do the right thing and fight for what they believe in. In the midst of the longest government shutdown in history — in the midst of chaos and destruction and what seems like an utter lack of human decency toward one another — it’s important to remember that humankind is not all bad. In fact, it’s mostly good. 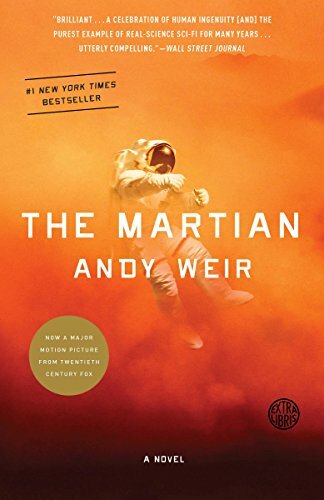 Weir’s story isn’t just about Mark Watney and his ability to survive on Mars’ surface for over 500 days (sols). It’s also about peoples instinctual ability to come together for the greater good — to help their fellow comrades out when they have fallen. A moral that does well with repeating now and, I’m sure, in the future.